I generally do not find anything too interesting about the presence of sliding glass doors. What makes these doors unique is their placement. 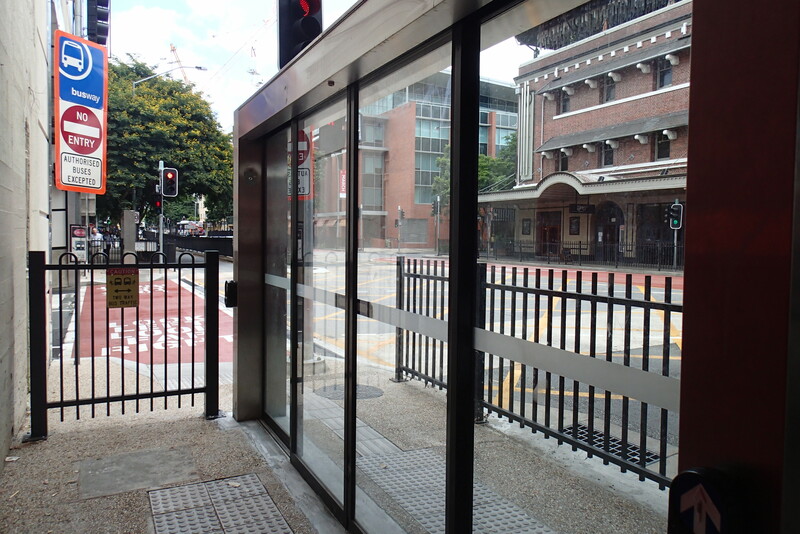 The authorities in the quiet city of Brisbane are so determined to stop tourists and citizens being run over by a bus that they have installed a fence and glass sliding doors on either side of an outdoor pedestrian crossing.